In the Luberon, you find yourself in the heart of Provence. From here, a multitude of excursions and activities are available. 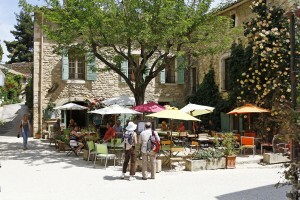 First and foremost, make sure you visit all the Luberon villages, considered to be among the most beautiful in France. then over the valley to Lacoste, famous for the Chateau de Marquis de Sade (owned by Pierre Cardin). Why not make Gordes your next visit, the famous medieval village perched around a hilltop with far reaching views. Cadenet, Gargas, Ménerbes and many others. Every village has its own unique character, and most have a restaurant with a fine reputation. of the River Sorgue. Other worthwhile attractions include the ochres mined at Rustrel and the lace of Montmirail. for their Roman architecture, remains and ancient theatres that have regular performances throughout the warmer months of the year. Staying in a luxury villa rental in the Luberon, places you in the midst of a National Park composed of three mountain ranges that form the heart of Provence and contains many charming hilltop villages and river valley hamlets. The Luberon is the heart of Provence, its sundrenched landscapes dotted with hilltop medieval villages, castles, forts and ancient ruins. There is a deep sense of history, yet at the same time the region is wonderfully wild and beautiful, a place where you can spend a peaceful day walking or biking along quiet trails, through oak and cedar forests and among fields of wild thym and rosemary. Overflowing with character, the Luberon National Park offers a sweet dolce vita climate, pure clean air, the mauve splashes of lavender; the subtle nuances of green from vineyards, olive groves, fruit orchards and natures wilderness; the flamboyant ochres and the austere white of the limestone hills. And this is the living Luberon, where everything goes back to man's relationship with the basic elements. 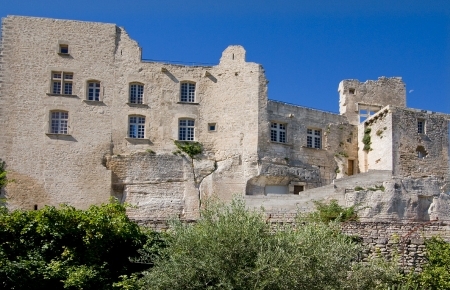 The dry stone walls, the bories, the imposing bastides, the villages perched precaiously on hillsides. A harmony carved out over the millenia. In the last two decades the Luberon has become known in the English-speaking world especially through a series of books by British author Peter Mayle chronicling his life as an expatriate settled in the Luberon village of Ménerbes. One of Mayle's books was made into a film A Good Year (2006) directed by Ridley Scott, starring Russell Crowe and filmed in the region. In more precise terms the Luberon is the name given to a range of mountains running about 34 miles (55km) roughly eastward from Cavillon to Manosque. The region has been designated as a park "le Parc Régional du Luberon' that is divided into the Petit Luberon to the west, and the grand Luberon to the east. 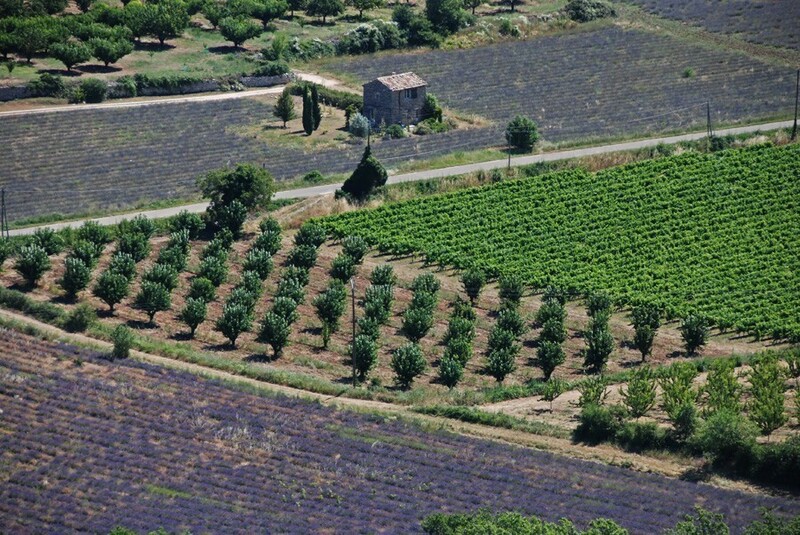 UNESCO classified the Luberon as a worldwide Biosphere Reserve in 1997. 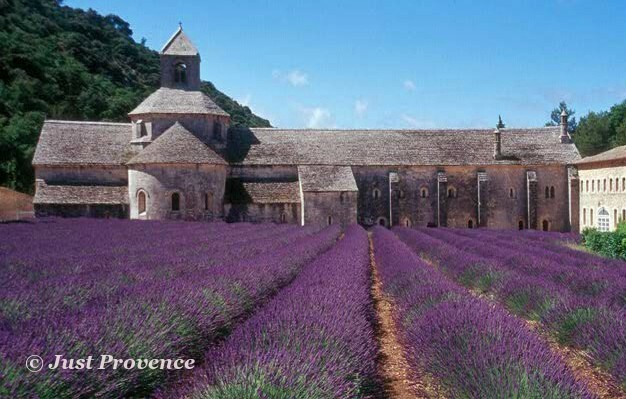 The Sénanque abbey near Gordes was founded in 1148, its monks cultivate lavender and to honey bees to this day. Provence Emotional Escapes presents Ansouis a traditional perched village in the Luberon, South of France. 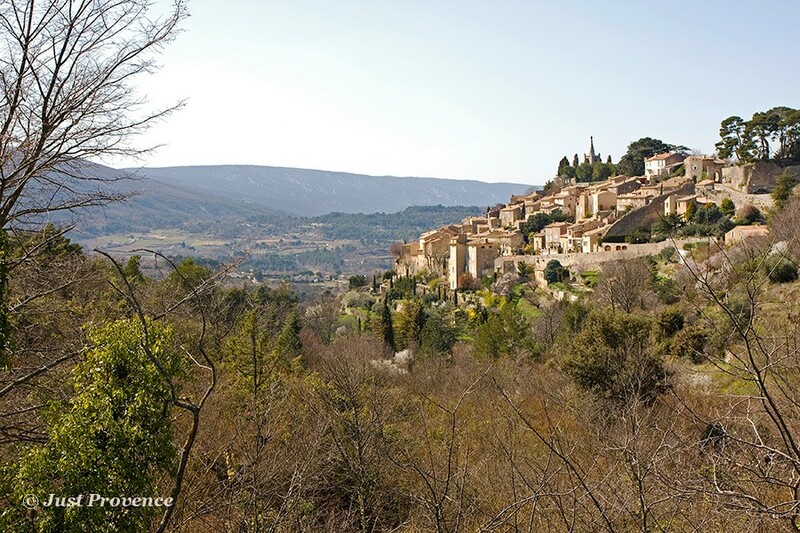 Apt rests in a valley between the Massif of Luberon and the Vaucluse Mountain Range. The city of Apt was founded in 45 BC on the orders of Julius Caesar. The old town is centered around the 11th century cathedral, on what was once an island between two branches of one of the five rivers that cross Apt. 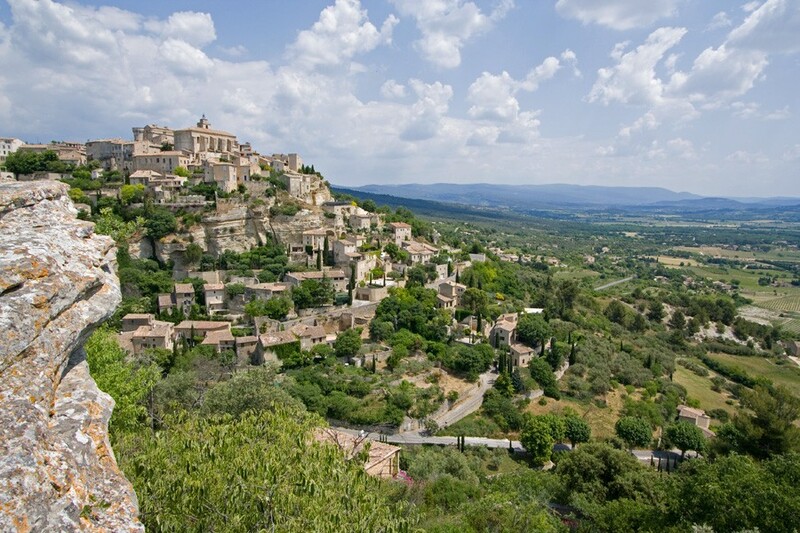 Gordes is a beautiful hilltop village perched in the heart of the Luberon National Park. It is classified as one of France's most beautiful villages and is definitely one of the brightest gems in Provence's crown. This sought-after village offers tourists more attractions than other Provençal villages of similar size. It has a wide selection of restaurants, spas and shops from the family-friendly to the exclusive range of products. Its houses and buildings of white stone root themselves into the sharp cliff of the mountain, its labyrinth of "calades" (narrow cobblestone streets) do not leave the visitor indifferent to its charms. 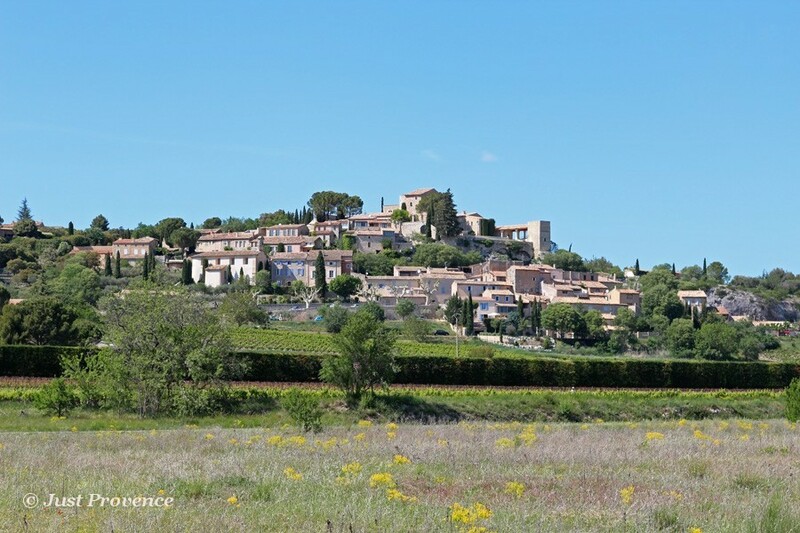 Gordes is 30min from Avignon, 2h40 from Paris by TGV and one hour from the capital by plane, 45min from the Marseille-Provence Airport in Marignane and two hours from Nice and the Riviera. Joucas is one of many perched tiny villages in Luberon.Its first mention in history comes in the 10th century but roman ruins found in the village hint at a much older human presence. If you come here from the thronged tourist sites, you'll welcome the calm beauty of Joucas, its refurbished buildings and tiny step-streets that climb up through the village right to the top. Lacoste is a small, ancient Provencal hilltop village in the Luberon, the region brought to life in the humorous writings of Englishman Peter Mayle, and where travellers seeking to emulate Mayle’s life in the south of France love to spend their summers. 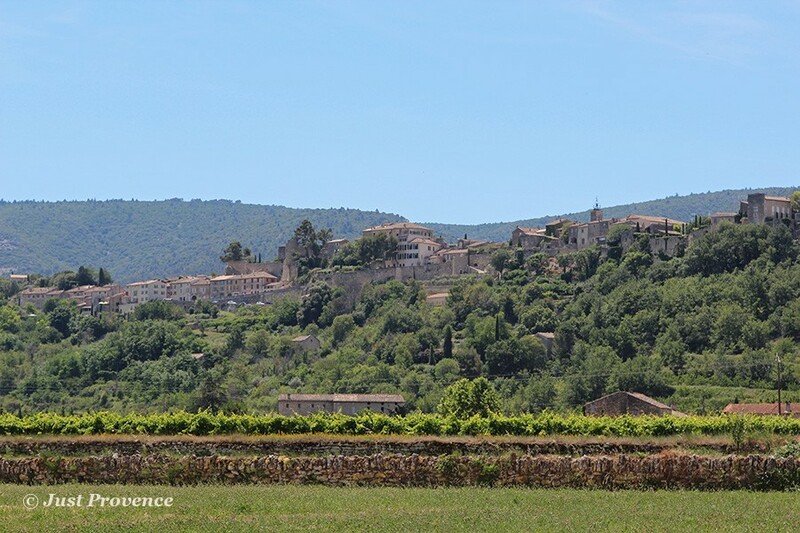 Lacoste is located between Ménerbes and Bonnieux, other beloved villages in the region. The stunning ancient stone buildings connected by narrow ‘calade’-surfaced streets provide a perfect backdrop for wandering around to the local cafés and shops. The town is set in an agricultural area of fertile plains and picturesque hills where fruit growing activities, including cherries and the well-known Cavaillon melon take place alongside the vineyards. 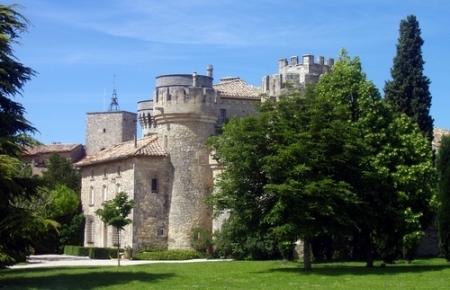 Lacoste is most well-known for its impressive 11th century hilltop château, which towers over the area. Now owned by couturier Pierre Cardin, it belonged to the family of the notorious Marquis de Sade when he lived here during part of the 18h century. Unfortunately the Marquis didn't get to spend a lot of time at the château since he was imprisoned by French authorities for his scandalous writings. Mr. Cardin has also purchased many of the houses in the village (which some villagers now regret) and owns a bakery/pizza shop. The American SCAD—Savannah College of Art and Design—is located in the village so every year young Americans as well as international students of fine arts, writing, architecture, and theatre flock here. A summer music and theatre festival really livens up the village in July, with world class opera, theatre and music. 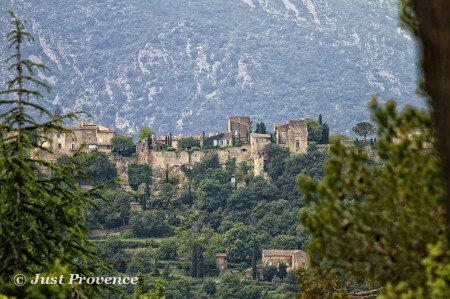 And given the proximity to other Luberon villages, Lacoste is an ideal, central location for your holiday. Lourmarin is one of the most beautiful villages in France, situated in the Luberon hills of Provence. It offers an exclusive choice of chic vacation rentals. 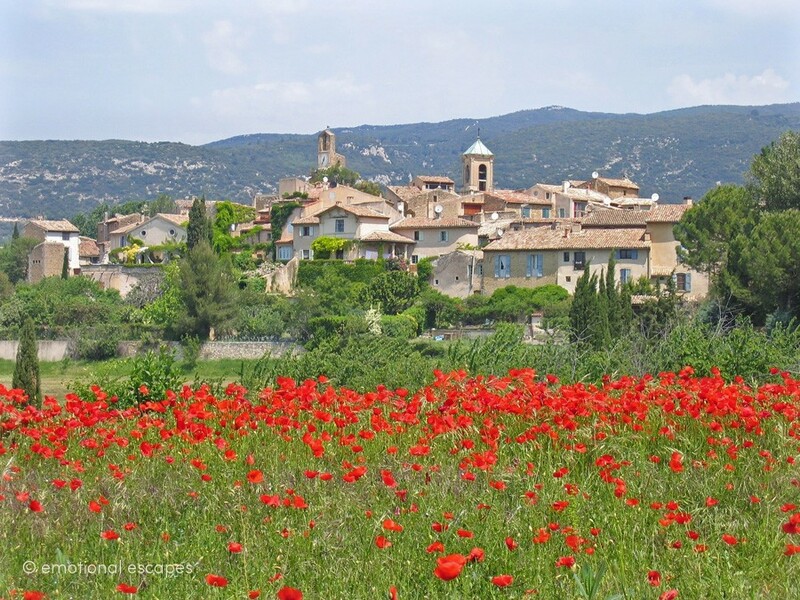 Situated in the heart of the Luberon National Park, and just 15 minutes over the hill from Bonnieux, Lourmarin's numerous outdoor cafes, boutiques, art galleries and fine restaurants sets it apart from many other villages in the region. 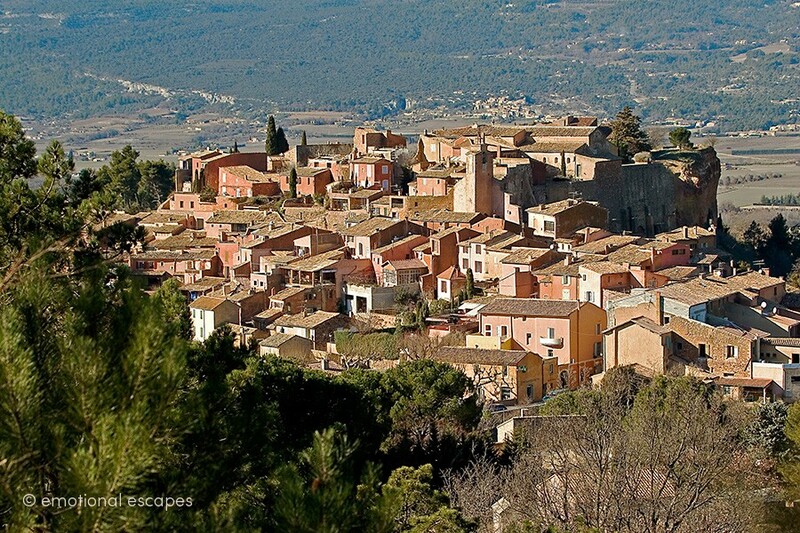 Lourmarin is renowned as one of the "Most Beautiful Villages in France". 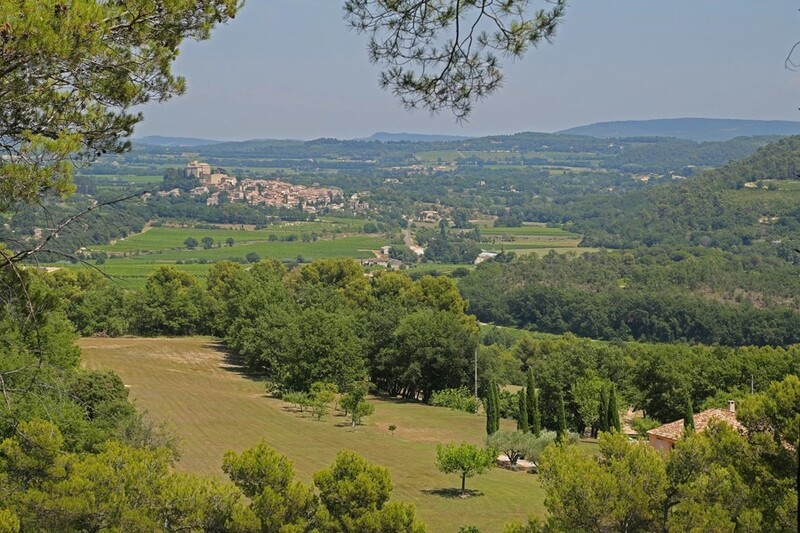 Sitting atop a rocky hill, surrounded by the Luberon Valley and with a rich heritage. 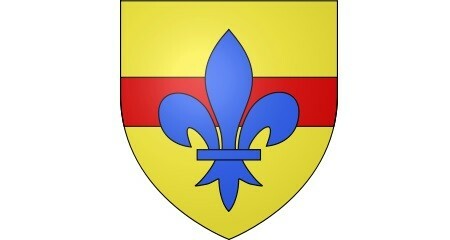 Murs dominates the fertile plains and is a gem of a village where one can stay and discover the heart of Provence. Pertuis is a large, pleasant town on the rich plain of the Durance, at the southern edge of the Vaucluse. Called the "Porte du Luberon" due to its location at the southern limit of the Luberon, it's also known as the capital of the Pays d'Aigues. Peypin d'Aigues is a very small Provençal village but it does have a boulangerie and a bar/restaurant. A little further afield (4 kms) you find the picturesque hilltop village of Grambois which has a cafe/bar, a Michelin starred restaurant, and a small mini-market where you can buy day-to-day provisions for your Provençal holiday. 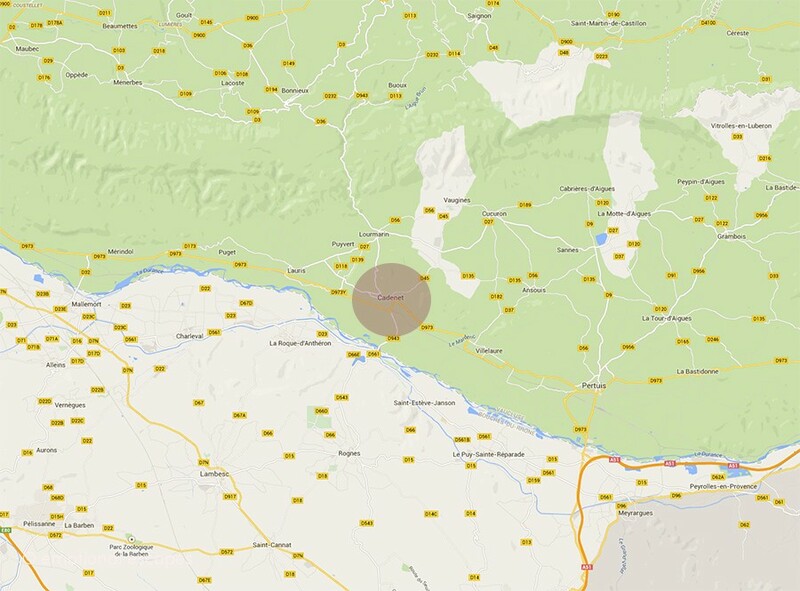 For larger shops and eating out you will find Tour d'Aigues 8 kilometres down the road. Pertuis (13kms) is the major commercial centre in the area which boasts two large supermarkets as well as a selection of bars and restaurants. Roussillon is a commune in the Vaucluse department in the Provence-Alpes-Côte d'Azur region in southeastern France. Situated in the heart of the biggest ochre deposit in Europe, Roussillon blazons forth its difference through an astonishing palette of flaming colours. 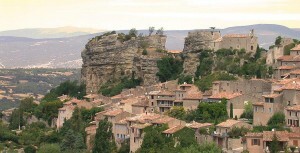 The village stands on an ochre ridge, situated in a broad valley with the 'Monts du Vaucluse' to the north and the 'Petit' Luberon to the south. As you wander its narrow streets and stairways and gaze upon its facades, which are often quite plain and naturally beautiful, you will be admiring the result of age-old know-how.